Get The Official Market Guide to Distributed Digital Asset Management with Original Research from Gartner, Inc.
Digital asset management continues to gain the attention of marketers at large brands, which means marketing leaders need clarity on what types of solutions exist and how to use them to improve marketing performance. 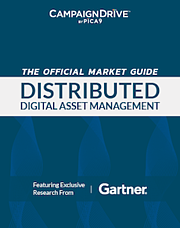 The Market Guide for Distributed Digital Asset Management – featuring research from Gartner – introduces the new category of Distributed DAM and explains how these systems enable marketers to scale brand-compliant marketing to their agents, dealers and franchise networks. Access the complete guide from Gartner, Inc.